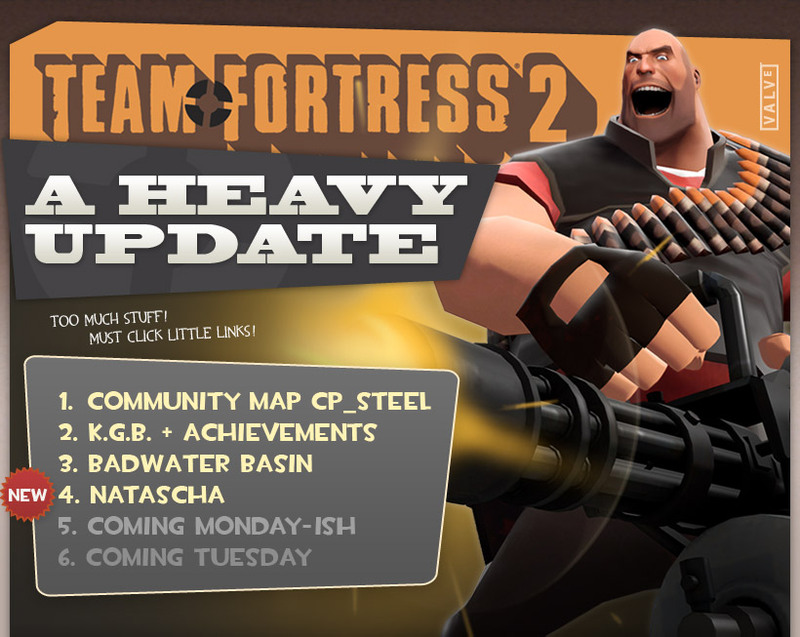 Coming "Soon" Coming in over two months Team Fortress 2, Engineer Update. "the week of April 20th"
"about a month" after the "March" release date of The Passing October 5, 2010 Release of "The Sacrifice"
An update tomorrow or early next week 22/08/2012 (3 months later) Fix a critical security bug in the L4D2/ASW/P2/CS:GO engines. "Update Notes Coming Soon" (July 7, 2016) About 5 hours later. TF2 Meet Your Match patch notes. "This fall" 12/12/2016 Dota 7.00 "The New Journey"
Note that these outliers may be the results of an undiscovered 'Greenlight Savings Time'. This page was last modified on 23 January 2019, at 21:59.